Hey loves, I know I haven't been so active around here lately but there were some busy times for me as we were in Romania, visiting the family, after which I changed laptops and I still have to get used to the new one (especially when it comes to editing photos -> hence the size of these ones :D). Also, on Monday and Tuesday was mine and my hubby's birthday, but we celebrated them last weekend with our dear friends in Lindau and at lake Constance. Well, it was more on the lake as we rented a boat and enjoyed some cake, a glass of prosecco and the good weather there. It was lovely and different than any of the birthdays we had and I'm really glad we went for it. You can see some photos on my Instagram (@andyandra) and I might make a post here as well, but I'm not sure yet. Meanwhile though, I have a cute outfit I wore on Sunday while enjoying a coffee on the terrace in Lindau. On a warm summer day this would always be among my first choices: a light & flowy summer dress, my favourite sandals and a straw bag. Straw bags were very in this summer and besides the fact that they look great, they are also very roomy and you can fit a loooot in there. And you can wear them at the beach, but also for street style looks..only pluses for it, right? Oh, I forgot to mention that I actually found mine in my mom's closet (thank you, mommy! :) ) and I love the brown / beige combo and of course, the cute bow. Also, if you're looking for such a bag, you can find some pretty cool ones now on SALE. As in for the dress, the color might be a bit odd for some of you, for me it was however love at first sight. Not to mention that the fabric is extremely soft and I found it on sale, at an amazing price. You gotta love summer sales, haha. Such a pretty dress! Definitely a Summer must have! Really cute dress and the sunglasses are so cool! 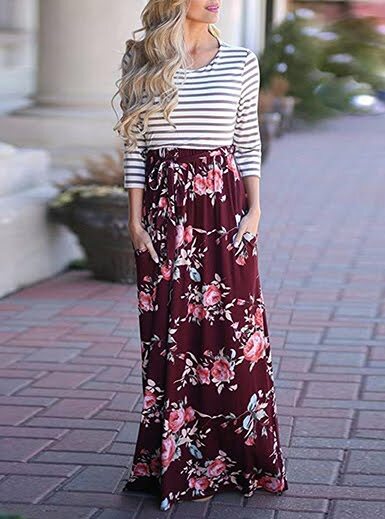 This is such a lovely summer dress!